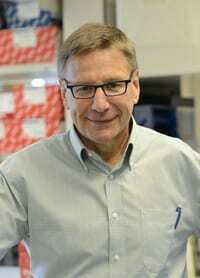 Full Member, Appointed: 1999, Fred Hutchinson Cancer Research Center, Clinical Research Division, Program in Immunology; Professor, Appointed: 2000, Department of Medicine, Division of Medical Oncology; and Adjunct Professor, Appointed 2015: Department of Immunology, University of Washington, School of Medicine. I. Immunobiology of graft-versus-leukemia (GVL) responses and graft-versus-host disease (GVHD). The efficacy of allogeneic stem cell transplantation depends in large part on an immune mediated antitumor effect mediated by donor T cells. A major focus of the lab is to understand the mechanisms involved the GVL effect. The association of the GVL effect with allogeneic transplant has suggested minor histocompatibility antigens expressed on recipient cells including leukemic cells are targets for donor T cells. Several approaches including cDNA expression cloning, peptide elution and mass spectrometry, and genetic linkage analysis are being used to identify the polymorphic genes that encode human minor histocompatibility antigens recognized by T cells. The discovery of these genes permits studies of the mechanisms responsible for immunogenicity and of the expression of individual determinants on leukemic cells and tissues involved in GVHD. The goal is to identify antigens that could be targeted without causing GVHD. 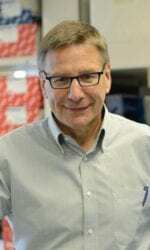 A model of human leukemia in NOD/SCID mice is being used to evaluate the expression of individual minor hisotocompatibility antigens on leukemic stem cells and define those that may be suitable to target in clinical trials to prevent or treat leukemic relapse in allogeneic stem cell transplant recipients. A clinical trial to evaluate the feasibility, safety, and antitumor activity of adoptive immunotherapy with T cell clones specific for minor histocompatibility antigens has been initiated. Preliminary results suggest that adoptive transfer can augment T cell responses to antigens that are expressed selectively on recipient hematopoietic cells without causing GVHD. A second approach that is in preclinical development is to genetically modify donor T cells with a suicide gene to improve the safety of polyclonal donor lymphocyte infusions. We are working with a construct that encodes the death domain of Fas linked to the FK506 binding protein and can be conditionally activated by a synthetic chemical dimerizer drug. Recent studies have been initiated to investigate cellular and molecular strategies to manipulate the immune system for the treatment of breast cancer. This effort encompasses studies to define relevant tumor associated antigens expressed by breast cancer and recognized by T cells and studies of mechanisms that may operate at the tumor interface to impede immunologic recognition. The goal is to develop specific T cell therapy or vaccine approaches that could be applied as an adjunct to current therapy. CMV remains an important human pathogen and an ideal candidate for vaccine development. Our lab has studied the host T cell response to CMV infection in both immunocompetent and immunodeficient hosts to elucidate the requirements for protective immunity. Viruses, like tumors, have adapted by evolving evasion strategies to cope with a hostile immunologic environment. We are studying how virus immune evasion proteins operate in various subsets of infected cells in vitro and shape the host T cell response. Several novel CMV antigens that are targets for CD8+ cytotoxic T cells have recently been identified and studies of their presentation in infected cells are in progress. Salter AI, Ivey RG, Kennedy JJ, Voillet V, Rajan A, Alderman EJ, Voytovich UJ, Lin C, Sommermeyer D, Liu L, Whiteaker JR, Gottardo R, Paulovich AG, Riddell SR Phosphoproteomic analysis of chimeric antigen receptor signaling reveals kinetic and quantitative differences that affect cell function. Sci Signal. 2018 Aug 21;11(544). Veatch JR, Lee SM, Fitzgibbon M, Chow IT, Jesernig B, Schmitt T, Kong YY, Kargl J, Houghton AM, Thompson JA, McIntosh M, Kwok WW, Riddell SR. Tumor-infiltrating BRAFV600E-specific CD4+ T cells correlated with complete clinical response in melanoma. J Clin Invest. 128(4):1563-1568, 2018. Liu L, Sommermeyer D, Cabanov A, Kosasih P, Hill T, Riddell SR. Inclusion of Strep-tag II in design of antigen receptors for T-cell immunotherapy. Nature biotechnology. 34(4):430-4, 2016. Paszkiewicz PJ, Fräßle SP, Srivastava S, Sommermeyer D, Hudecek M, Drexler I, Sadelain M, Liu L, Jensen MC, Riddell SR, Busch DH. Targeted antibody-mediated depletion of murine CD19 CAR T cells permanently reverses B cell aplasia. J Clin Invest. 126(11):4262-4272, 2016. Turtle CJ, Hanafi LA, Berger C, Hudecek M, Pender B, Robinson E, Hawkins R, Chaney C, Cherian S, Chen X, Soma L, Wood B, Li D, Heimfeld S, Riddell SR, Maloney DG. Immunotherapy of non-Hodgkin’s lymphoma with a defined ratio of CD8+ and CD4+ CD19-specific chimeric antigen receptor-modified T cells. Sci Transl Med. 8(355):355ra116, 2016. Turtle CJ, Hanafi LA, Berger C, Gooley TA, Cherian S, Hudecek M, Sommermeyer D, Melville K, Pender B, Budiarto TM, Robinson E, Steevens NN, Chaney C, Soma L, Chen X, Yeung C, Wood B, Li D, Cao J, Heimfeld S, Jensen MC, Riddell SR, Maloney DG. CD19 CAR-T cells of defined CD4+:CD8+ composition in adult B cell ALL patients. J Clin Invest. 126(6):2123-38, 2016. Sommermeyer D, Hudecek M, Kosasih PL, Gogishvili T, Maloney DG, Turtle CJ, Riddell SR. Chimeric antigen receptor-modified T cells derived from defined CD8+ and CD4+ subsets confer superior antitumor reactivity in vivo. Leukemia. 30(2):492-500, 2016. Berger C, Sommermeyer D, Hudecek M, Berger M, Balakrishnan A. Paszkiewicz PJ, Kosasih PL, Rader C, Riddell SR Safety of targeting ROR1 in primates with chimeric antigen receptor-modified T cells. Cancer Immunol Res. 2: 206-216, 2015.